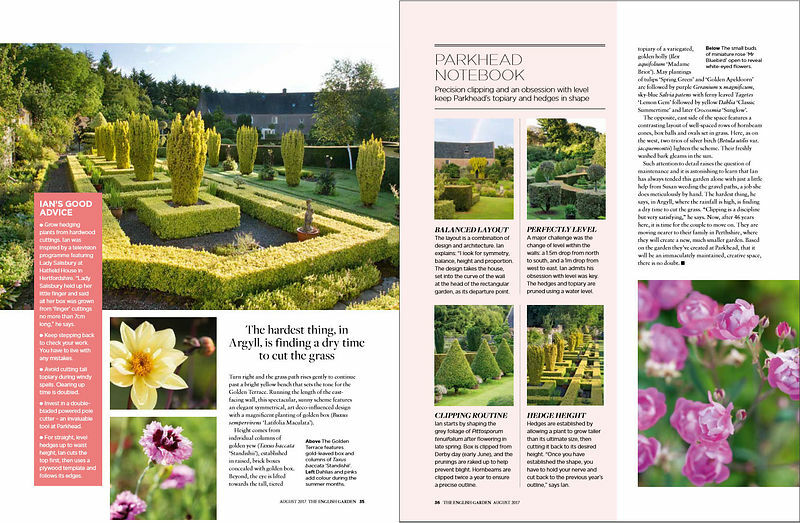 Pleased with our spread in The English Garden magazine of this wonderful west coast of Scotland garden, Parkhead. 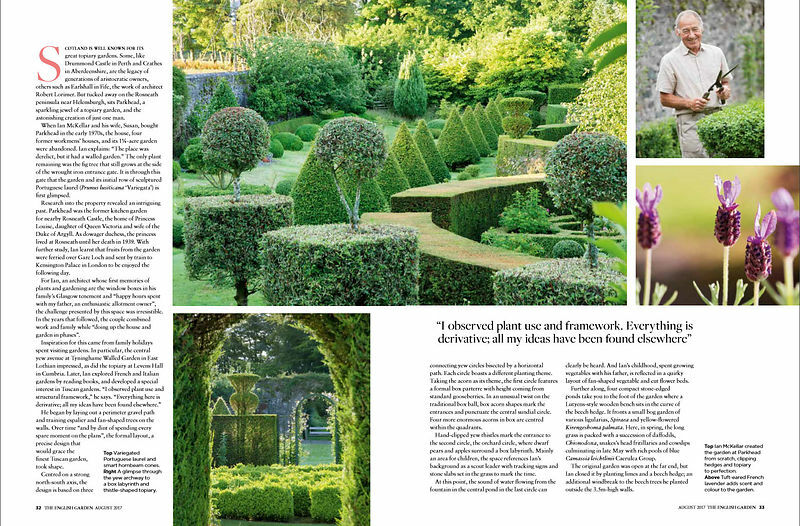 Topiary and design to rival anything in the world, this is the masterpiece created by retired-architect (and thoroughly decent bloke) Ian McKellar. 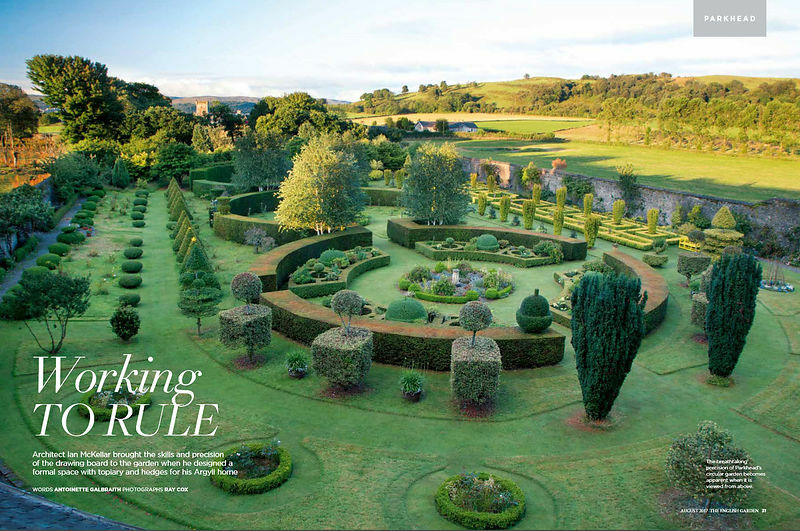 Now under new ownership so whether opens again under Scotland's Gardens in future...remains to be seen.